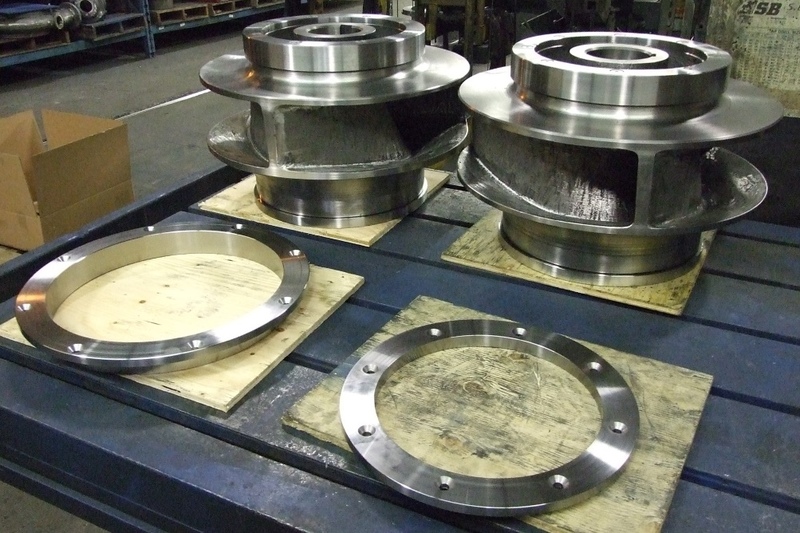 Two hardened ductile iron impellers with stainless steel wear rings, front and back. 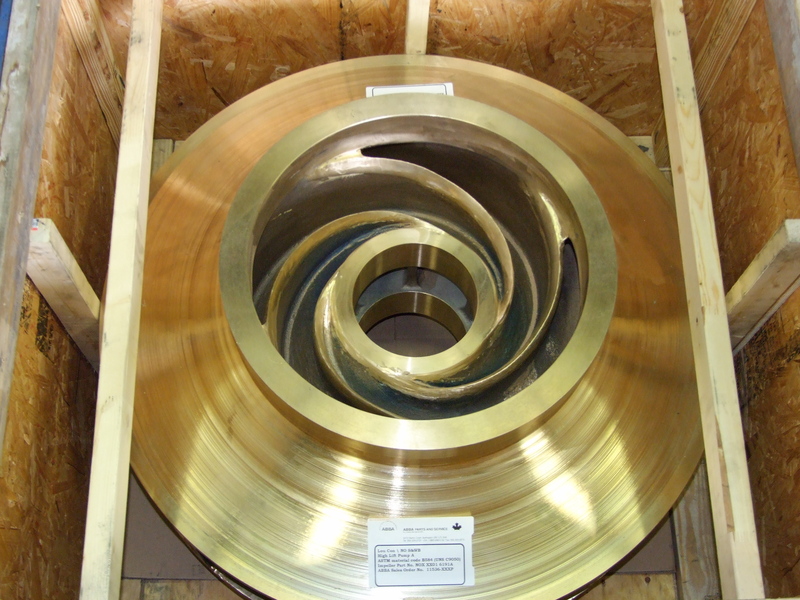 Impellers were sold to York Region, ON. Pumps were originally Worthington 12” MNZ. Also supplied suction cover we ar ring and stuffing box cover wear ring – both stainless steel.